Despite the recommendation of parliament, Russia sanctions will remain. Cyprus would not lift sanctions against Russia despite the resolution of the Cyprus Parliament on 7 July, to lift the sanctions against Russia, the spokeswoman for Ukraine's Foreign Ministry Mariana Betz told a briefing in Kyiv on 7 July. "We have received assurances from the Cypriot side - Cyprus Embassy in Ukraine, the Ministry of Foreign Affairs of Cyprus, and the Cyprus government that the country's position remains unchanged," said Betz. Ukraine's Foreign Ministry condemned the resolution of the Parliament of Cyprus. "Despite the fact that the resolution itself is not binding, the very fact of that decision raises concern. 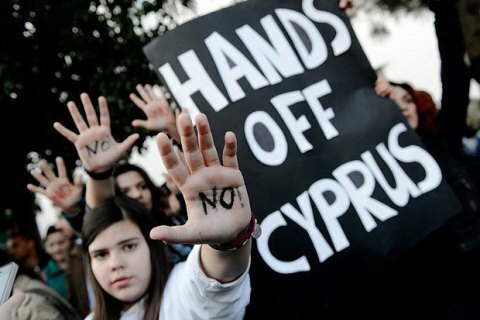 It shows the disregard of some Cypriot deputies of the fundamental principles of interstate relations based on international law. Such an attitude is nothing but indirect support for actions of the aggressor," the foreign ministry spokeswoman said. Ukrainian Foreign Ministry has once again called on to preserve the unity of the European Union.